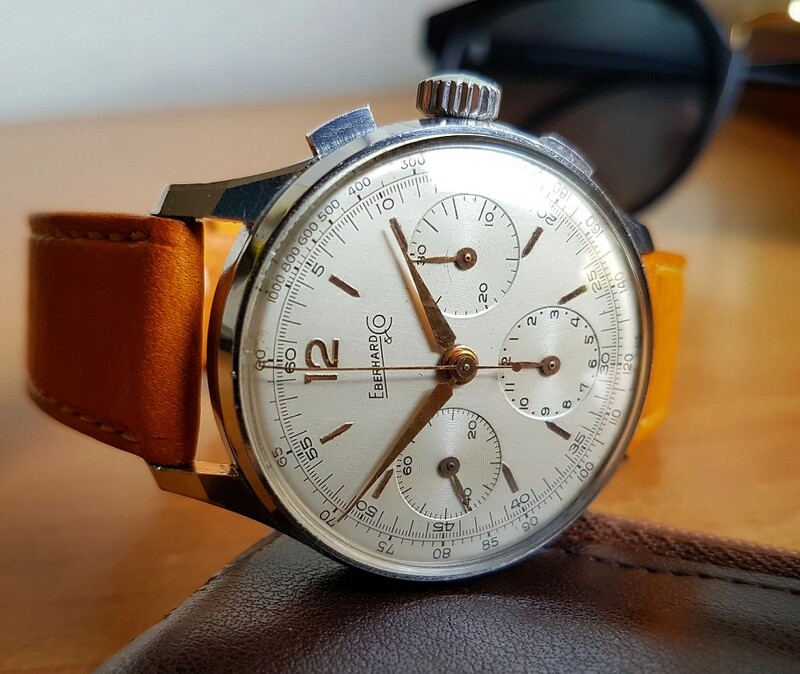 Up for Sale a wonderful, Super Mint and very Rare Eberhard Pre-Extra-Fort 3 counters chronograph from late 40s/early 50s. 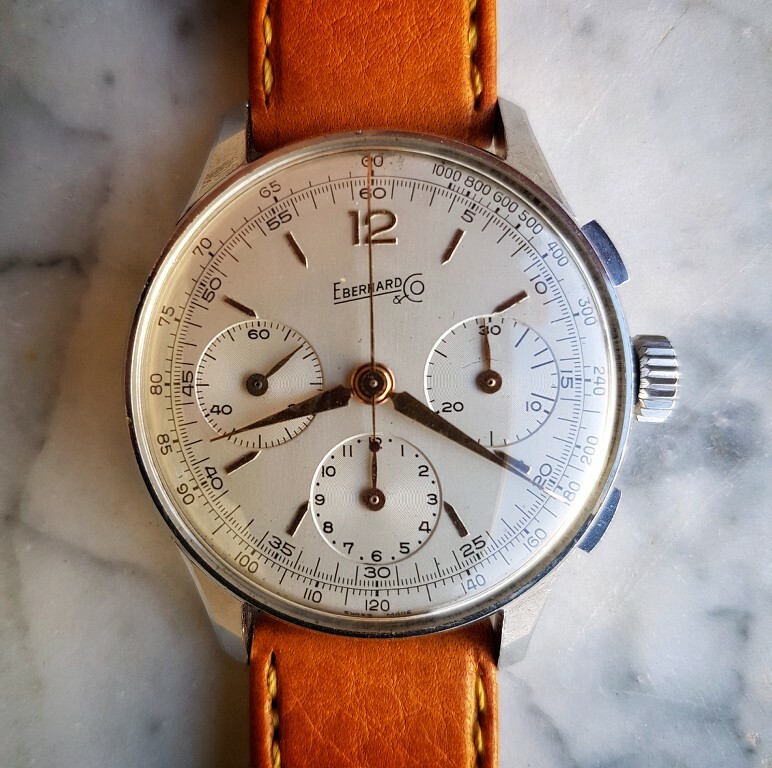 This watch is rare gem in Eb's vintage watches panorama becouse of its caliber. 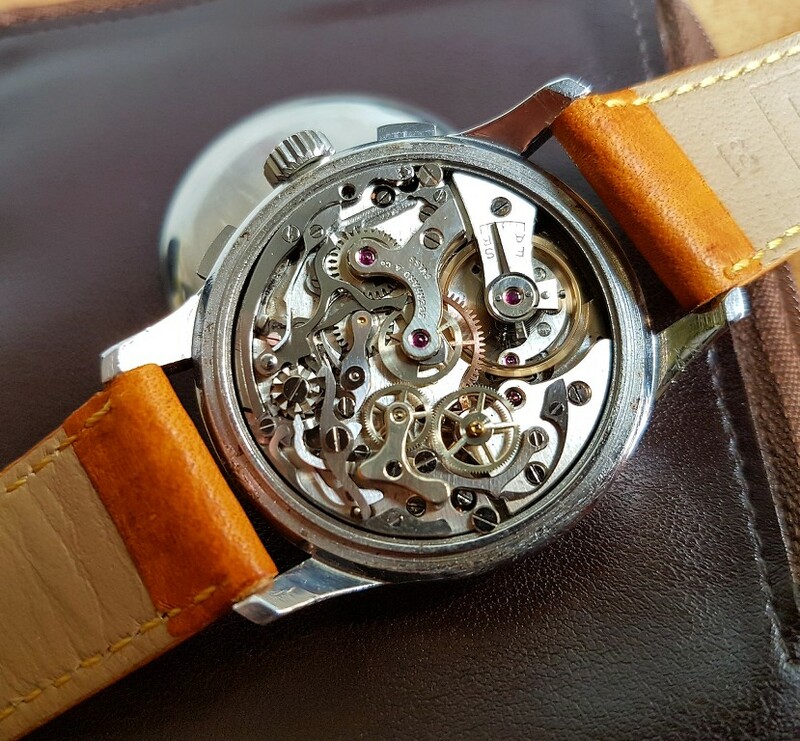 This watch is fitted with a Valjoux72 caliber that is rarely seen on Eb models. 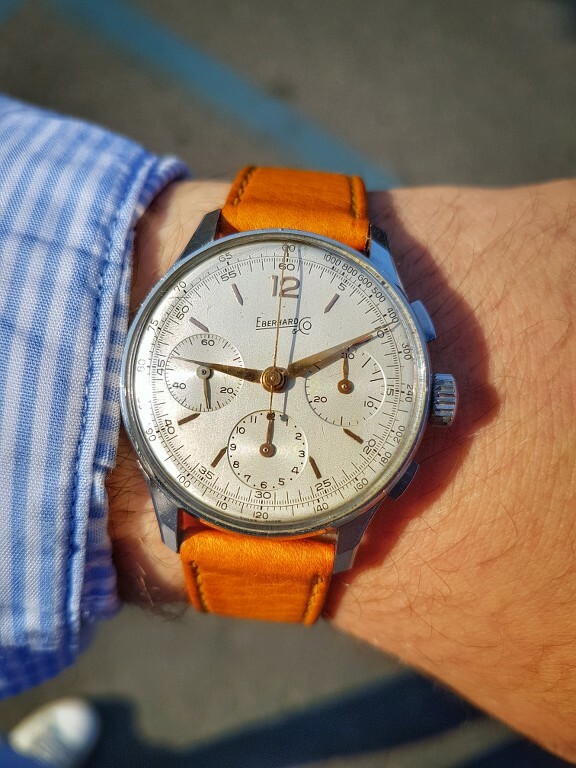 I think that this watch is a must have for all Eberhard collectors. 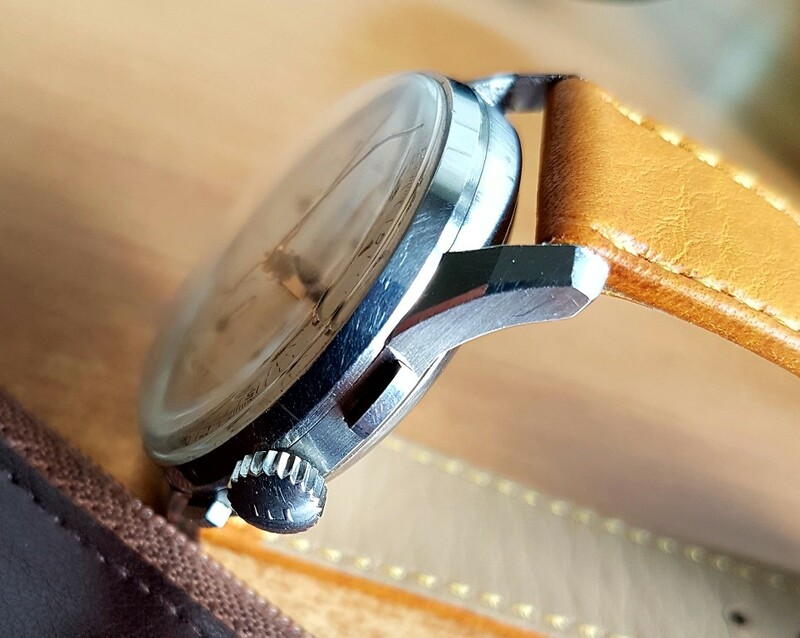 The watch is original in all of its parts. 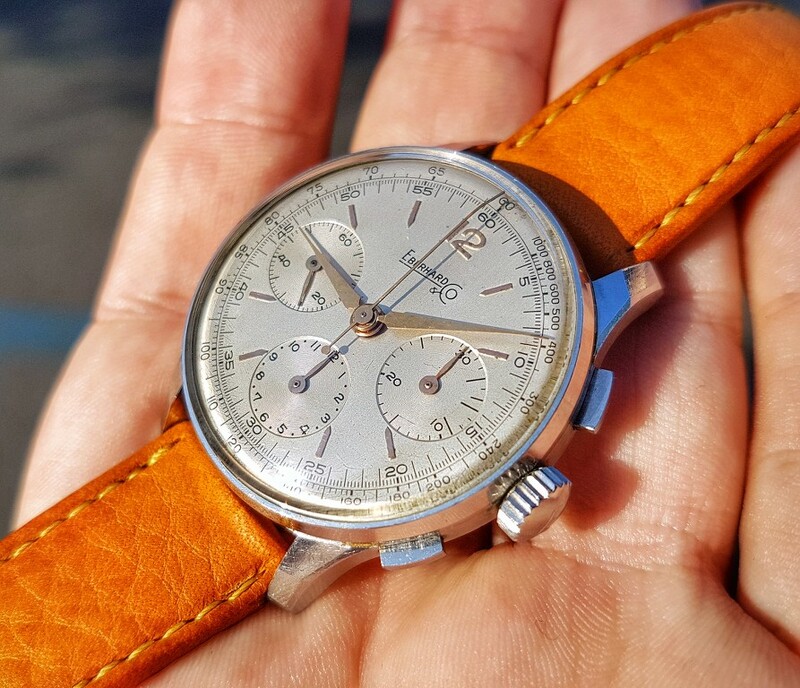 The Dial is in mint conditions. 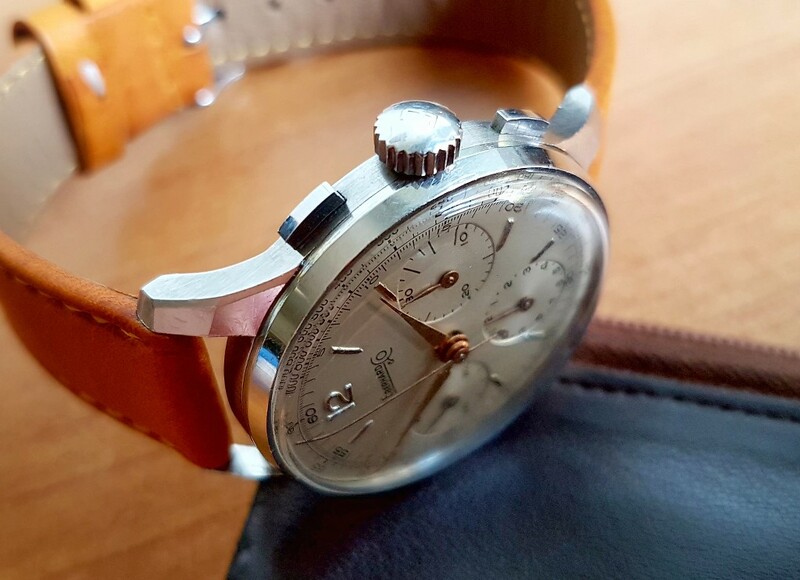 Please take a look to the Stainless Steel case... it is unbelievable that a case in such conditions came from 40s! Every angle is sharp like a knife. The carrure is satin finished. 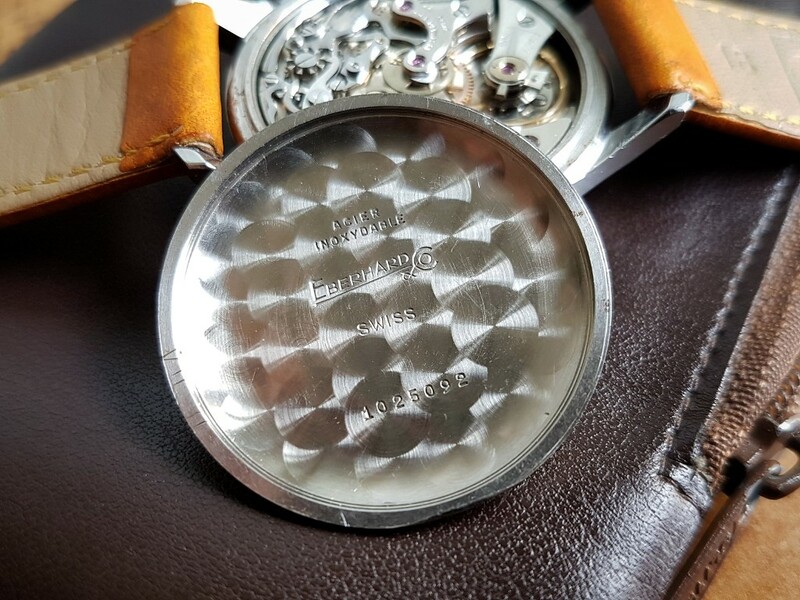 The caseback is marked on the inside with the Eb logo and the serial number. The caliber is marked too. The watch is fully working. 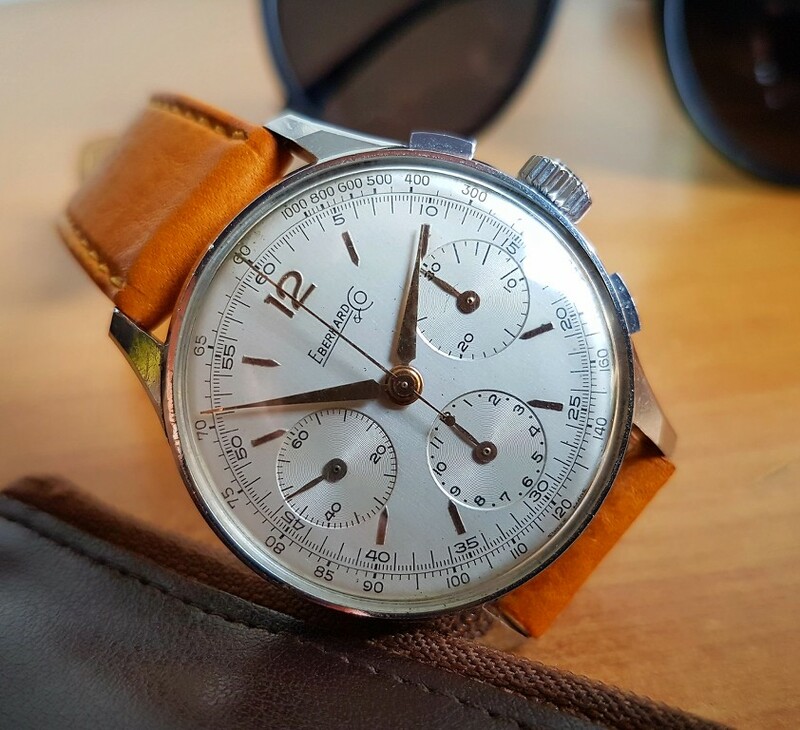 For this Mint chrono the price is 2150 euros OBO. 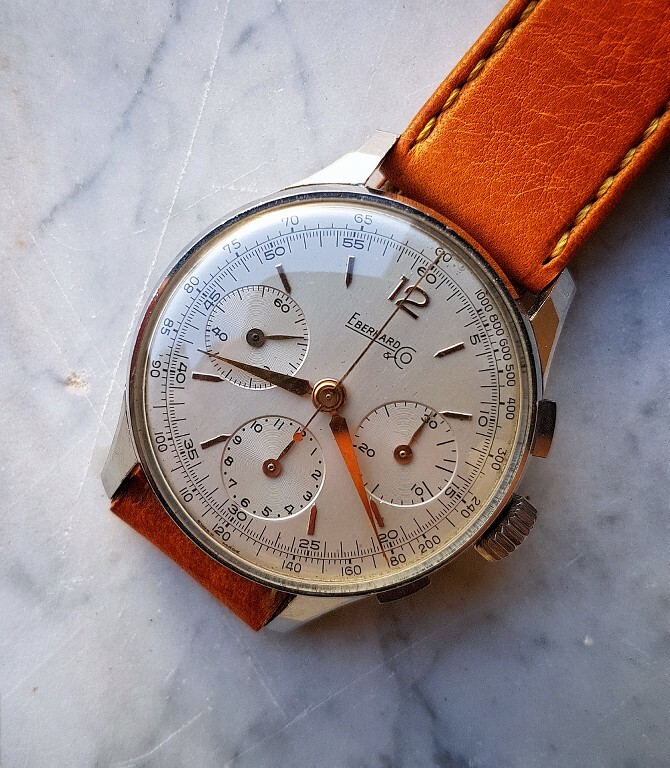 The watch will be available for view in Parma fair.